Lord Alton was elected as a Member of Parliament for the Liberal Party in 1979 and was at that point the youngest MP in the House of Commons. He was a member of the House of Commons for eighteen years and served at various times as a spokesman for Home and Environmental Affairs and as Chief Whip. In 1997, he was made a life peer and took his seat in the House of Lord as a crossbencher. 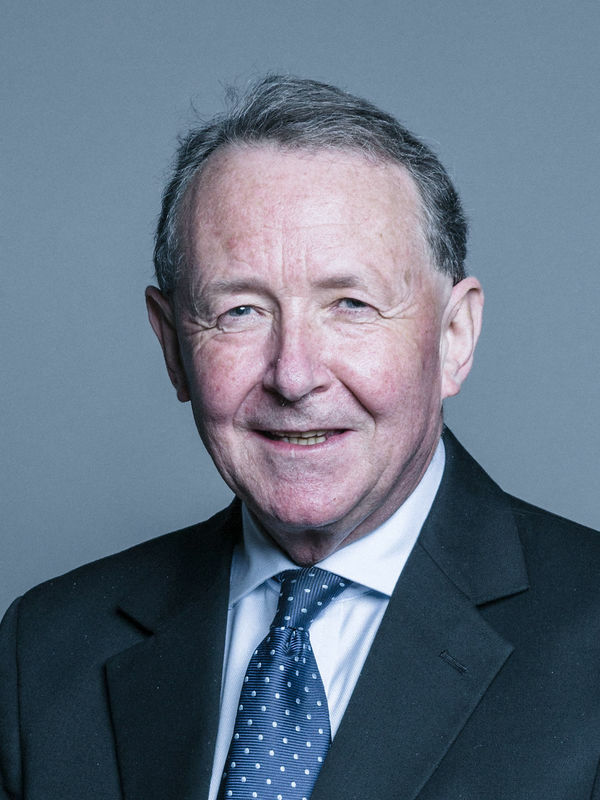 An internationally renowned human rights activist, Lord Alton is the chairman of the All-Parliamentary Group on North Korea and was one of the first British politicians to visit that country. His travels have also taken him to Burma, Congo and the Sudan. Lord Alton is passionate about fostering a generation of young people who strive to be men and women for others – a vision that also underpins the work of CDI. The Master of Trinity College is one of the United Kingdom’s most eminent entrepreneurs and innovators. A biochemist by training, he developed the first process for synthesising fully human antibodies, used in the treatment of diseases such as breast cancer, leukaemia, asthma and arthritis. He industrialised his inventions through the founding of two companies, Cambridge Antibody Technology and Domantis, which were sold to AstraZeneca and GlaxoSmithKline respectively. Sir Gregory received a knighthood in 2004 and the Royal Medal in 2011 ‘for his pioneering work in protein engineering and therapeutic monoclonal antibodies, and his contributions as an inventor and entrepreneur’. He became Master of Trinity in 2012. Sir Gregory was a key mentor in the setting up of CDI, guiding the student committee through its first business case and helping them to establish crucial funding relationships without which CDI’s pilot could never have been undertaken. Professor Prabhu is one of Cambridge’s leading authorities on the so-called bottom of the pyramid, with a deep passion for and expertise on entrepreneurial approaches to international development, not least in healthcare. Having started his academic research in marketing and innovation, recently, Professor Prabhu’s research has increasingly centered on inclusive growth and emerging markets. He is the author of a groundbreaking book on ‘Jugaad’ (frugal) innovation in India, the principles of which he has made accessible to a wide range of organisations, including Barclays, the Royal Society of Medicine and BRAC, the world’s largest development NGO. A staunch supporter from the beginning, he has been instrumental in helping CDI build up its extensive collaboration with Judge Business School and acts as one of the development experts on CDI’s Board. While Sir Gregory Winter and Jason Thorpe are the entrepreneurs on the team, Dr. Essah is the Board’s intrapreneur. Smoothly manoeuvring through the working processes of an 800 year-old University, she was instrumental in setting up the Cambridge-Africa Programme, which is now the University of Cambridge’s official strategy for engaging with the African continent. Over the past five years, Dr. Essah has helped to raise millions of pounds for the Programme through donations and grants from the Wellcome Trust, the Carnegie Corporation of New York, the University of Cambridge and other key funders, to ensure its sustainability. As an African (Ghanaian) who has studied and worked in Cambridge for many years, her role as the Manager of the Cambridge-Africa Programme puts Dr. Essah in a unique position to help establish CDI prominently within the University of Cambridge, and to provide an ‘African voice’ for CDI. Jason Thorpe understands the challenges and hazards as well as the excitement of launching a new enterprise. Having started his career as a Management Consultant at PricewaterhouseCoopers, he founded a startup called Different Aspect Software which provided IT application solutions to major car manufacturers. After the acquisition by Infomedia, Jason Thorpe joined the Australian software developer as its Managing Director in Europe. Initially a sceptic about CDI’s work, he decided to instead contribute his experience and skills to this NGO ‘with an entrepreneurial edge’ while completing his Executive MBA at Cambridge. Jason Thorpe will take the lead on CDI’s financial oversight, helping the student committee fulfil its fiduciary responsibilities in running the charity as well as exploring the financial viability of taking CDI’s projects to scale. Georgia was involved with CDI from its official launch in January 2014, volunteering as part of the Entrepreneurship team that summer before becoming the Entrepreneurship Project Director the following year. She went back to Dar in her final year of studies as part of her Masters project, working with TechforTrade to investigate the feasibility of selling 3D printed microscopes in East Africa. Since graduating, she has been working in management consultancy, particularly enjoying her time on a social impact project looking at how the client could expand sustainably in the UK. Patrick is the co-founder of the Cambridge Development Initiative, the product of a keen interest in African development that goes back to a cultural exchange with Zimbabwe in 2010. As Joint Chairman for the first 18 months, Patrick managed the design and development of CDI’s four projects and brought together a wide network of stakeholders that made this ambitious idea reality. Now he is looking forward to pursue the more long-term vision of changing the way student volunteering is done and identifying how university students can best contribute to innovative development work globally. Beyond CDI, Patrick has used his time at Cambridge to write on Britain’s China Policy, head a university-wide energy-saving project, and design and teach a political education programme for activists of the National League for Democracy in Myanmar. Kelvin joined Patrick on a mission to reimagine student volunteering after a fateful conversation in a Cambridge bar. His experience as a banking intern and a careers society president made him an unlikely leader of CDI, but he was inspired by the potential of a holistic programme of projects that make use of the sheer diversity of skills among Cambridge students. Kelvin found himself exploring partnerships with leading NGOs and liaising with multinationals to supply medicines to Dar es Salaam’s slums. As Joint Chairman and Entrepreneurship Director, Kelvin oversaw the development of CDI’s four projects and co-led the organisation’s first ever fundraising campaign; what excites him the most, however, is the summer trip’s potential to catalyse unprecedented personal development in its volunteers and produce leaders with the capacity to change the world. ​As a former CDI Project Director and volunteer, Rajan has an excellent insight into the great opportunities and challenges for students’ volunteering. He was hooked by CDI’s model after the first summer: two months working with a team of British and Tanzanian students, and with pupils and teachers from two Dar es Salaam secondary schools, to improve the outcomes of secondary education. Taking on Project Director responsibilities to lead the design and implementation of the project’s second year gave him a much greater understanding of what CDI’s ambitious definition of volunteering requires. In his professional career, Rajan uses his process engineering training to improve water, sanitation and agriculture infrastructure and service delivery. He brings to the board his personal experience, technical knowledge and a deep interest in the skills development of our volunteers. Gillian's primary role is CEO of The Møller Centre, a residential executive education centre whose mission is “to support its clients to acquire knowledge for professional development and personal and business success”. This includes the production of tailor made leadership programmes for senior executives as well as providing the highly serviced environment within Churchill College in which these “learning interventions” take place. These executive programmes provide the special combination of academic and practitioner based education, cultural experience and inspirational thought.